Before you jump into my second addition of the Sunflower League Elite Eleven, there are a few things to take note of. First off, I expanded the list to two teams this year. The Elite Eleven is sort of my First Team, and the Second Eleven is like my Second Team. It was hard narrowing it down to my top 22 players, let alone the top 11 the way I did last season. Secondly, I expanded to included defensive lineman on this list, however, I once again did not include offensive lineman. The reason? Quite honestly there's too much effort that would have to go into evaluating offensive lineman to come up with a fair and objective group that would fit into these two teams. Like I've always said, the best way to evaluate the top offensive lineman in the league is to look at the Coaches All-Sunflower League Team. The coaches are the ones who evaluate the lineman on a weekly basis and their knowledge of who's best is going to be more accurate that anything you could pick up from going to the games on Friday nights or watching reruns on Metro Sports. And lastly, the players are not listed in any particular order, so throw that out if you thought you were on to something. The Coach of the Year is also listed at the bottom of the Elite Eleven team. Talk about coming out of nowhere and going out with a bang. Ward’s final carry as a high school football player was a 41-yard touchdown run on a dive play that gave Olathe South the lead in the 6A state championship game with just under a minute left. Olathe South held on for the victory, and Ward will forever be remembered for that play. His offensive line opened up a running lane for the first ten yards, but the next 31 were all on Ward, as he cut back across the middle of the field before dragging a defender for five yards in to the endzone. Ward’s final five game this season could go down as some of the best numbers we’ve seen in league history. His rushing totals, from week nine through the state championship in week 13 were as follows: 232, 107, 290, 233 and 263 yards, respectively, and his touchdown totals in each of those games were 3, 1, 5, 3 and 4, respectively. That means in the final five games of the year Ward combined to rush for 1,125 yards and 16 touchdowns—against the best competition Class 6A had to offer. He would have been a shoe-in to break the 2,000 yard rushing barrier had an early season injury not kept him out of several games, as he averaged 9.5 yards per carry for crying out loud. Standing 5-foot-9 and weighing 180 pounds, Ward didn’t necessarily stand out walking off the bus, but he proved his worth with his late explosion—and his game-winning play late against Wichita Heights will go down forever in Olathe South lore. In his seven and half games of action, Strauss accomplished more statistically than most players do in a career. Not only did he lead the Sunflower League in combined offense with 2,261 yards, but the fact that he accomplished it in so few games is incredible. Just in case you don’t know the story, Strauss started on offense, defense and special teams throughout the season, and push finally came to shove in week eight when he suffered an ankle injury in the first quarter against Olathe Northwest. He didn’t play in week nine, and he only played for a quarter against Olathe South in the Regional Round of the playoffs. Nevertheless, he had an outstanding season—one of the best we’ve ever season from one player. In each of the seven games in which he was healthy he put up at least 254 yards of total offense. While he didn’t finish out the season the way he would have wanted to, he’ll be back at the helm for the Chesty Lions in 2012, and with a loaded roster returning it could be another brilliant season for Strauss. Nearly every state championship team has a player that you can point to as the heart and soul of the defense. For Olathe South that was Whitley. He converted to the middle linebacker position this past offseason after having played outside linebacker previously. The move inside worked well, as he led the Sunflower League in tackles from start to finish, not to mention helping Olathe South claim the state title. Whitley was excellent in run support, and his pass defense skills weren’t far behind. His four interceptions tied him for fourth place among league leaders in the category. The scary thing is that Whitley (like Strauss) is only a junior and he’ll be back as an even more improved player in 2012. I had heard rumors in the off-season that Cauley was going out for football but I was a bit skeptical of how well a skinny 6-foot-10 basketball player turned wide receiver would do. Was he fast enough? Did he have good hands? How would he handle getting jarred by defenders? Well, Cauley answered all of those questions by putting up arguably the best season we’ve seen out of a Sunflower League receiver in the last decade. 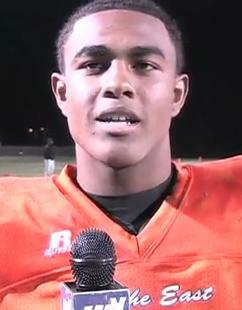 It all started in week one when he recorded 122 receiving yards and four touchdowns against Leavenworth. From there on out the kid was a machine putting up big receiving totals week in and week out. In a year in which we saw a general shift from league teams to the pass, it was Cauley who stood out as the league’s most consistent receiving threat. Cauley committed to play basketball at Kentucky in week eight, so his dominant senior season on the gridiron won’t be the last we see of the rare 6-foot-10 athlete. 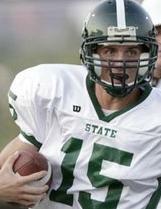 Kelly really experienced a resurgence in his senior year of football. We had high hopes for the talented running back/defensive back after he capped off a tremendous sophomore season at SM North. However, as a junior, he had a forgettable season for the Indians and more or less fell off the map. Kelly transferred to Olathe East and it was probably the best thing for him. After a relatively slow start to the season, he picked up steam and became the Hawks go to back in redzone situations, evidence by his 22 rushing touchdowns. He was also a valuable piece of the Hawks’ talented secondary. For Kelly, we always knew he had the talent to be among the league’s best, but it just took the right setting for that to happen. It’s fair to say that Junior Williams lived up to the standards laid before him by his two older brothers, former Olathe East greats Dorian and Derahn. Junior was arguably the league’s top cornerback this year, and his best game came against Olathe Northwest in the Regional Round of the playoffs. 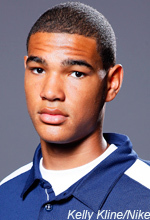 Junior had the challenging task of covering Willie Cauley, Olathe Northwest’s 6-foot-10 behemoth wide receiver who led the league in receiving. Junior picked off three passes and held Cauley to one of his least productive games of the season. Most people didn’t know about McFarland heading into this season—and rightfully so. He hadn’t done much on varsity as a sophomore, and he hadn’t even won the starting quarterback job. It would take a few weeks, but the talented junior finally took the reins of the Free State offense full-time in week three. He lived up to the standards of the past four Free State quarterbacks admirably, combining for over 2,000 yards of total offense, 19 touchdowns and even gaining a reputation as one of the top defensive backs in the league. We’ll get to see and hear about McFarland all of next season since he is just a junior, but the kid has one heck of a season to reflect back on in his first year as the starting quarterback. The one thing Olathe North seemed to lack this season was consistency. They began the season 5-0 and ended it 0-4. If you watched them statistically, it was literally a roller coaster ride on a week-to-week basis. However, the one thing that did stay consistent at Olathe North was the talented Gentry. Before the season Gentry’s name was being thrown around quite a bit due to the stellar junior season he had as a defensive end. While he had another impressive year on the defensive side of the ball, it was his receiving efforts that really gained everyone’s attention. He started things off with a three-touchdown night against Olathe East in week one and those types of efforts continued as the season went along. While things didn’t shake out the way Gentry and his teammates would have wanted regarding making the playoffs, it certainly wasn’t because of a lack of production from Gentry. Elite wrestlers translate well on the football field. Just take a look at how past Sunflower League greats Justin Dyer of Olathe South, and Josh Carroll and Lucas Vincent of Olathe North did on the gridiron after dominating the mats. You can add Middleton to the list. While short in stature, Middleton was anything but short in ability. He scored more touchdowns than any player in the league during the regular season and he had an uncanny ability to fill a stat sheet. Middleton’s highlight moment came in week nine when he carried the ball 29 times for 332 yards and six touchdowns, in addition to passing for one score. He scored four consecutive touchdowns in the second half and his efforts helped Olathe Northwest to beat the highly favored Olathe North in the game. If you were looking for a game breaker you had to look no further than SM North’s Perez. After leading the Sunflower League in interceptions as a junior with six, Perez came back as one of the league’s top returning defensive players, but it was actually his offensive game that earned him the most attention as a senior. Not only did Perez combine for 16 touchdowns, but seven of those touchdowns came on plays of 40 yards or longer. His defensive game wasn’t anything to look past either. Teams rarely threw the ball his way, and he was excellent in run support recording over 50 tackles. Guild was a workhorse back for SM South in his junior season. Not only did he lead the Sunflower League in rushing yards during the regular season, but he also made contributions as a receiver out of the backfield and on defense. Guild’s highlight of the season was in week five when he toted the rock 30 times for 342 yards and three touchdowns. It was the most rushing yards a running back had put up in the league in years and it embodied Guild’s work effort and determination as much as anything. SM South didn't win many games, but Guild seemed to produce no matter the circumstances. This was one of the easiest choices of any of the picks I had to make. Gourley coached Olathe South to a 12-1 record and the 6A state championship, the first state title in the program's history. The Falcons also won the Sunflower League outright for the first time in school history. 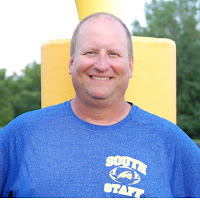 In his first year at the helm at Olathe South in 2008, Gourley won just three games. The following year the team won four games. Last season Olathe South made a late run and finished with seven wins. This year, Gourley's fourth at the helm, the program reached heights that had not yet been seen in its history (no pun intended). What's more, Olathe South returns a loaded roster in 2012, and Gourley and Co. will be the favorites in Class 6A to repeat as champions. 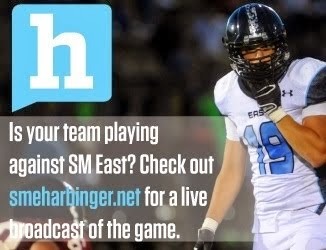 Faerber would have made a much larger impact for SM East had he not been forced to juggle catching passes from different starting quarterbacks or had to deal with several nagging injuries. He still had a solid year catching 60 passes for 764 yards and six touchdowns. 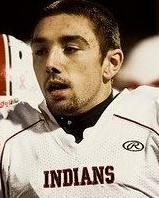 Rellihan had an outstanding year catching 48 passes for 881 yards and 11 touchdowns. 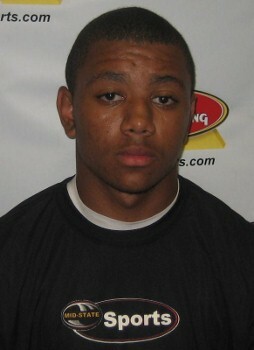 He’ll be one one of the top returning Sunflower League wide receivers in 2012, and the SM East offense will certainly cater to his abilities. Sure, it helped he had Willie Cauley to throw to, but Rook did outstanding in his one year as the starting quarterback. In the nine games he started he completed 157 of 253 passes for 1,968 yards and 19 touchdowns—leading the league in passing yards and touchdowns. After a decent junior season, Kelsh came back as a stud senior for Olathe East, rushing 170 times for 1,269 yards and 12 touchdowns. His 7.5 yards per carry average wasn’t too shabby either. He was key in Olathe East’s second consecutive Sub-State appearance. Say what you want, but Mooney was one of the top running backs in the league this season. He carried the ball 162 times for 978 yards and 11 touchdowns and caught 18 passes for 136 yards and one touchdown. Mooney could have benefited from another year in Olathe North’s system but he put up great numbers in his one year as an Eagle. In open field Colbert may have been the fastest play in the Sunflower League. He carried the ball 97 times for 1,126 yards and 11 touchdowns, and he also caught six passes for 114 yards. Colbert's rushing average of 11.6 yards per carry meant he averaged a first down, and then some, every time he took a handoff. Elliot was a multi-purpose nightmare and he’ll be returning to wreak havoc next year. He carried the ball 66 times for 389 yards and three touchdowns, caught 24 passes for 561 yards and three touchdowns, and defensively he recorded 33 tackles and four interceptions, one of which he returned for a touchdown. I took some crap for doing a Player Spotlight on Seurer in the preseason, but he sure made me look good. Seuerer passed for 1,634 yards and 12 touchdowns, not to mention going 4-of-5 for 183 yards, including a 99-yard touchdown pass to Drew Johnson in the 6A state title game, which Olathe South won. Baltimore earned much more attention from offenses following his impressive junior year and commitment to play at Northern Illinois, but he still did very well. He totaled 63 tackles, 10 quarterback hurries, four sacks and four fumble recoveries and he was a defensive stalwart for the Hawks. 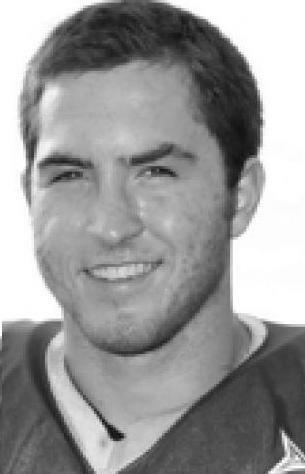 Randall was Leavenworth’s top player, toting the ball 145 times for 833 rushing yards and 11 touchdowns. He also caught 26 passes for 302 yards and two touchdowns. 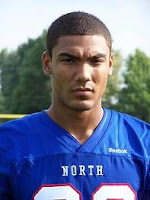 Randall will return in 2012 as Leavenworth’s top player. 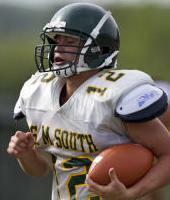 Forslund was an outstanding player for SM South on both sides of the ball. Offensively, he completed 36 of 96 passes for 440 yards and four touchdowns, and he carried the ball 137 times for 548 yards and 12 touchdowns. On defense he made 89 tackles, two sacks, two interceptions and forced two fumbles. NoOne, why don't you do something productive like hit the weight room and help get ON back to respectability after that pathetic season. I'm glad to see Jordan Ward get some props. What he did during districts and the playoffs was amazing. 63 4 sacks isnt good. . I had 3like sacks in one game. .
Now that the season is officially over, the All-Sunflower League teams should have been released to the media. Any word on this? A Slugger....WTF with this obsession with so-called "weight room"? Enought with this Gang-bany style and get a life!!!! im a little upset that kendall kelly's stats are always the ones to get messed up. i can personally show you the stats he has had. he had 23 td's not 22, not that big of a mistake but can be changed. i will show you the amount of td's he had each game and you all can tell me how many td's it adds up to.